While not required, we recommend that you link this prospect to a particular advertisement when possible. The advertising effectiveness report (described below,) will benefit from this information. 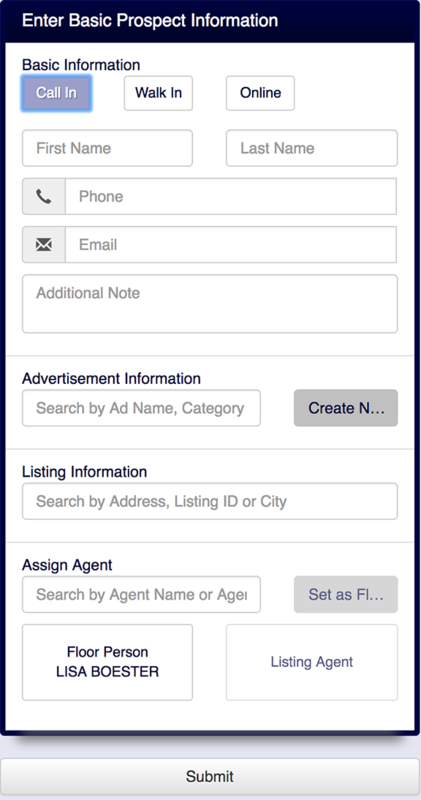 Associating the prospect with a listing makes it easier to figure out which agent to send them to. Note: You can always send the prospect to an agent acting as the "Floor Person," or any agent in your office. Once assigned to an agent, you can choose to set them as the floor person. Click Submit to save this prospect.